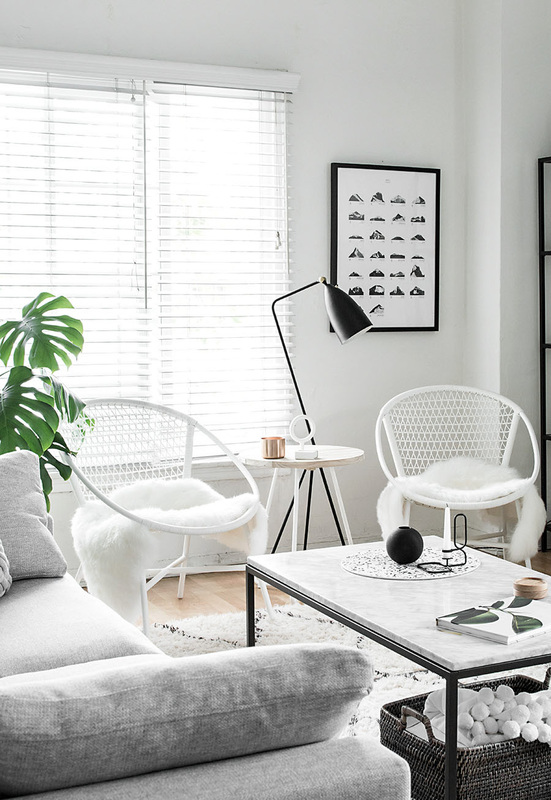 After ruling out a love seat that blocked some of the window and a bulky lounge chair that would only seat one person, the option of rattan-style chairs came to the forefront. 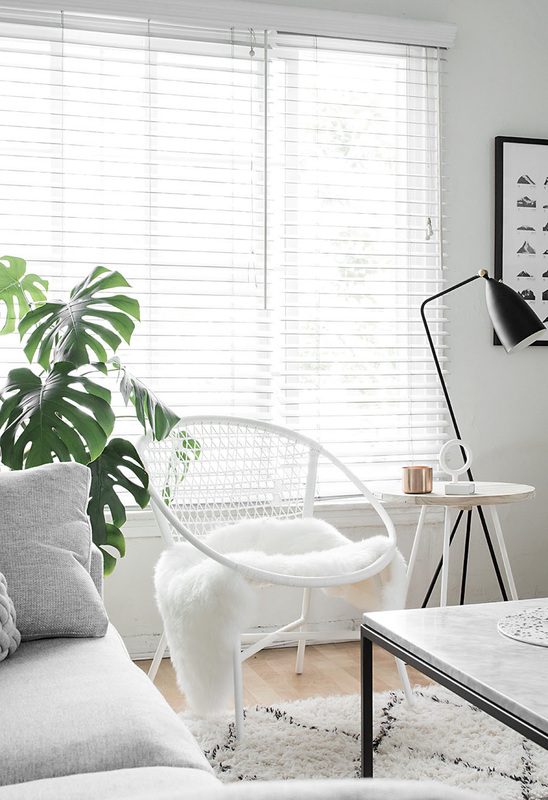 Visually weightless and versatile, I found the perfect set of chairs from Article, who partnered with me on this post for a simple and very much needed update to our living room seating. I’ve loved Article for a while because our sofa is from Article, which I get asked about on a near daily basis- it’s from Article! They provide modern and contemporary furniture at reasonable prices. My search for these things is how I first found Article and why I now continue to be a big fan. 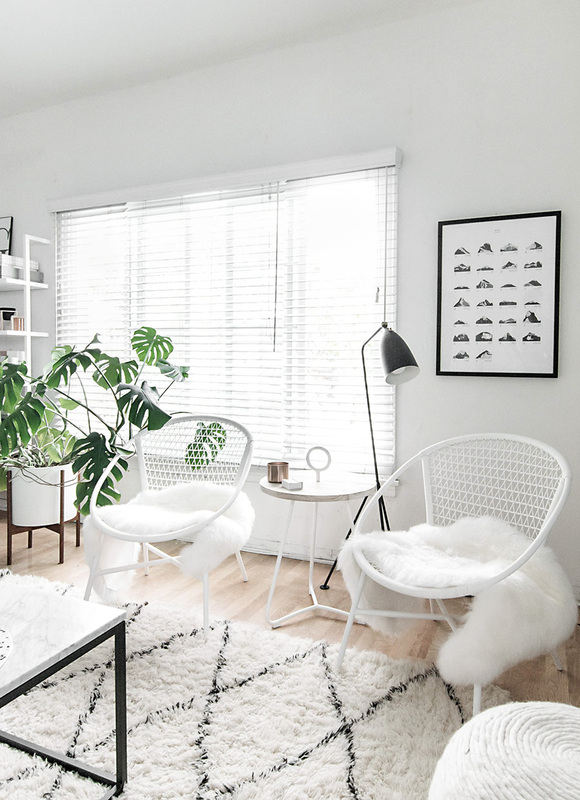 Having gone through the difficulty of picking between the black and white Sala lounge chairs, I now know for sure white was the best choice seeing how it contributes to that light and airy feeling that I mentioned wanting to maintain. Simultaneously, the chairs are unique and geometrically striking, especially when the light hits them. These chairs are geared towards being outdoor furniture as they’re made from synthetic wicker, built to be more durable and withstand temperature changes. They still however, work great indoors and have the versatility to look beautiful anywhere. To make them more inviting and indoors-y, I added the Lanna throw to the seat of each chair for added texture and comfort. I thought these chairs might not be that comfortable, but they’re really comfortable. Our first guest to sit in one voluntarily agreed, noting that it was “a lot more comfortable than it looks.” Victory! I won’t be falling asleep in this chair, but chilling in it while reading magazines has and will be a continued ritual. This has been a small but very significant change to the living room, as if it opens up the area more for gathering and hanging out. We have options now for arranging the seating, casual lounging, and easily moving things between rooms. These chairs would look pretty sweet in our bedroom. Check out Article for more of their stylish and modern offerings. 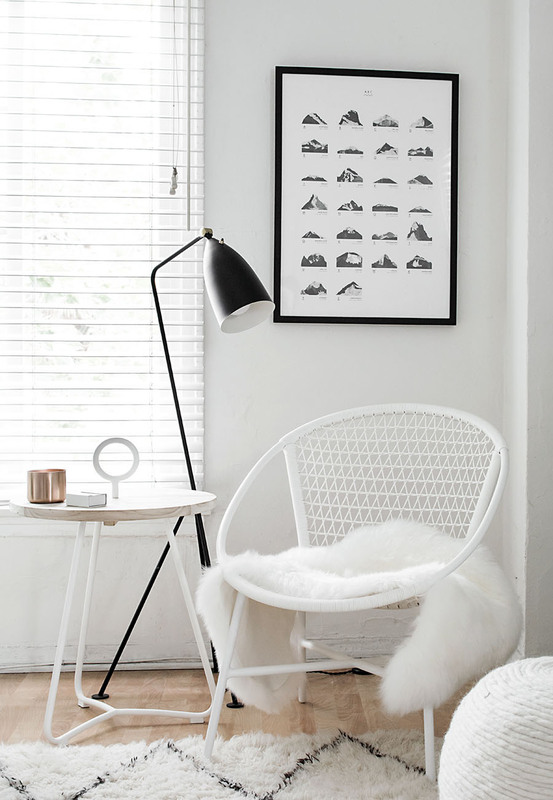 Also let me know if you agree on the white color of these chairs. I still think black would’ve worked beautifully, too! 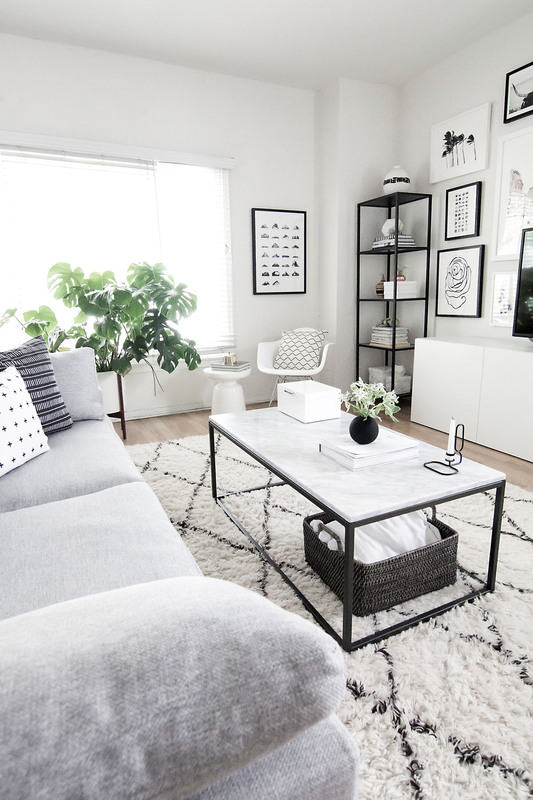 I love all the crisp modern lines and pieces! I think my patio needs that table! I’ve been seeing more and more outdoor furniture double as indoor furniture this season. Love it! This room is so gorgeous! How in the world do you come up with this stuff?! 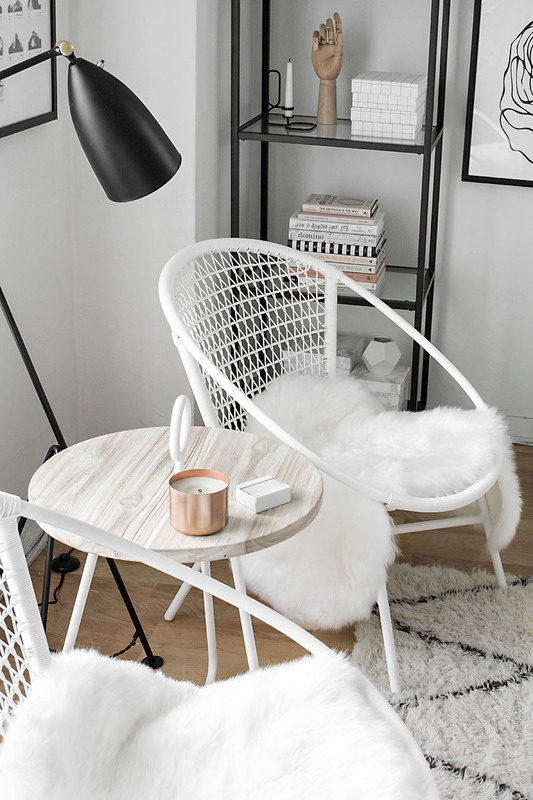 I love the look of the round chairs but I would have never considered to pair them with the fur. 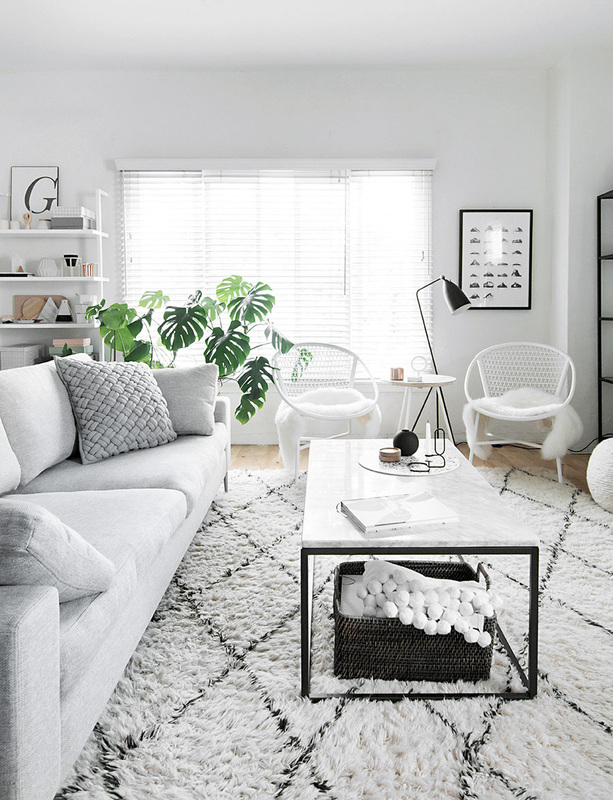 Also, I absolutely love the modern/ minimalist look of your house but what do you do to control clutter? Like, If I’m on vacation and pick up a pretty souvenir or my kids make some bright pottery that I love, how do you keep your house looking so cohesive and still “live” in it? Thanks Lisa! Considering all the mistakes and lessons and edits it took to get to this point, this room was about 3 years in the making. It takes time, especially starting from a place where I wasn’t 100% sure what my style was but over the years I kept working on it and figuring it out, mixed in with giving up for long periods of time out of frustration ha. A little over a year ago I went through months of major, ruthless decluttering. 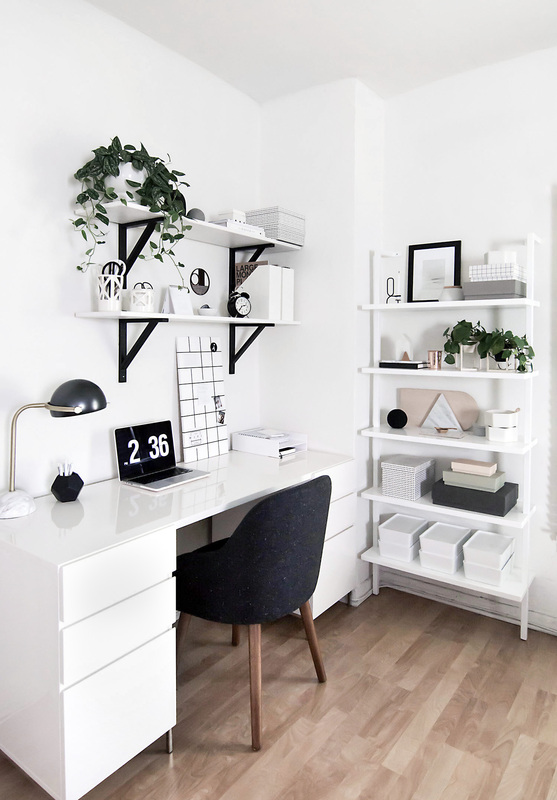 I learned how to do this from Marie Kondo, her book was all the rage (Have you read it? The Life-Changing Magic of Tidying Up? 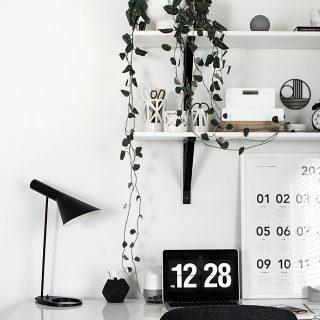 I wrote about it here and then wrote another post on decluttering here.) Since then the clutter has been A LOT easier to manage because I finally had the room for everything to have its place, but clutter still happens around here- I’ve found I’m not so great at putting things back right away. 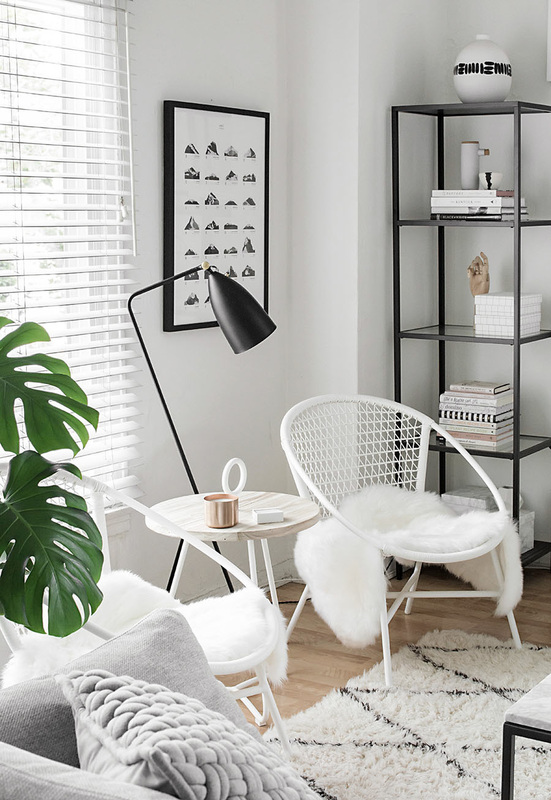 The other side of that is being painstakingly prudent about what comes into the home, which has everything to do with being really clear on my style and what I need/don’t need. I totally see how all of this is harder with kids, which I don’t have, so I don’t have advice on that. For now, I’ve worked really hard for a long time to minimize possessions and be extremely thorough about the criteria on items that I bring home. I’ll have to write more about this in a future post, thanks for the questions! In case you didn’t find out, I see it is from Article, as well. Very modern looking and I love it! The chairs are beautiful and they fit perfectly, just amazing!